Of the many factors and considerations involved in running a successful business, one of the easiest to overlook is ensuring that all employees make full use of their annual leave allowance. This is particularly true for managers and company leaders. With no-one above you to give reminders about how much leave you have left or to encourage you to take a holiday, it can be all too easy to keep ploughing on without a break. Back in 2014, research by the Institute of Leadership and Management (ILM) revealed that 41 per cent of managers had not used all of their holiday entitlement in the previous year. To really make sure you get the time off you need to protect your health and stay productive at work, it’s helpful to plan your annual leave periods as far in advance as possible. Depending on the nature of your business, there might be particular times in the year when you are less busy or likely to encounter fewer issues or challenges. Study your calendar to identify periods such as these, when you can take a bit of time off without the company suffering. 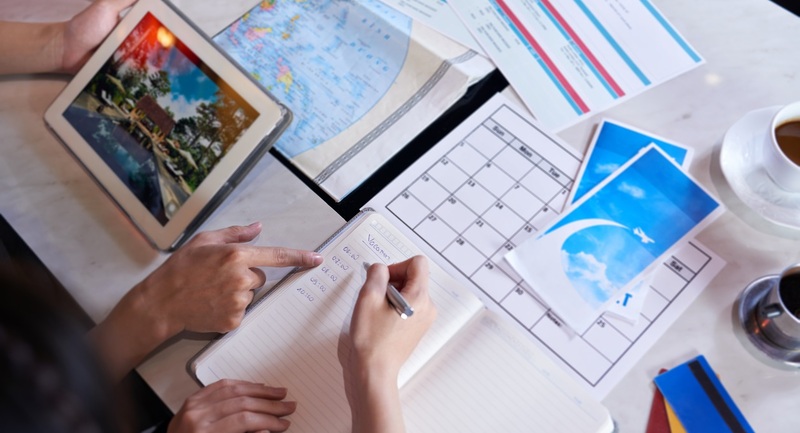 Without bookings or other clear holiday arrangements in place, it’s easy to change your mind at the last minute and continue working despite having planned to take some time off. Purchasing flight tickets, booking hotel rooms or signing up for activities on certain dates provides the commitment and incentive you need to stick to your holiday plans. This can prove particularly effective if you are going away with family or friends who you don’t want to let down. If you have reliable, experienced staff who have been at your side through the company’s past challenges, there is no reason to worry that the running of the business will suffer while you are away. Be prepared to delegate key responsibilities to people who have shown their aptitude in the past. As well as giving you a break, assigning crucial tasks to others can support professional development and show individual team members that they are trusted and valued. As well as ‘switching off’ in a figurative sense, to truly enjoy your holiday time and release the pressure of work, you need to literally switch off your electronic devices. With a phone or tablet constantly within reach, the temptation to check your emails or ask a colleague for a quick update will always be there. By hitting that ‘power off’ button and making the most of your break, you will be ready to return to work fresh, rested and invigorated.